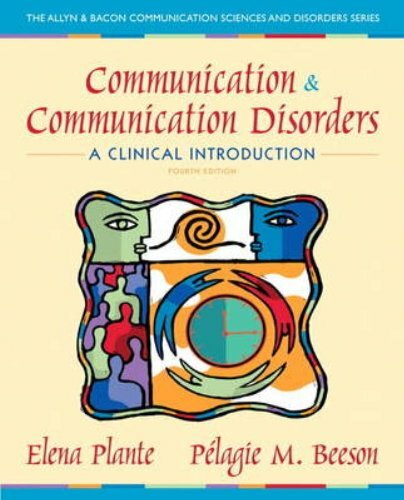 Featuring contributions from leading experts, Communication and Communication Disorders: A Clinical Introduction, 4e blends science, clinical applications, and introductory concepts to help readers develop a sound understanding of the field. Appropriate for both majors and non-majors, the text’s consistent format and unifying organization address communication disorders involving articulation, fluency, voice and swallowing, language, and hearing. Focusing on communication disorders over the lifespan, the text balances speech-language pathology and audiology and includes separate chapters devoted to child and adult disorders. This edition includes a new chapter on pediatric audiology; expanded discussion of language acquisition; and more information on autism, ADHD, intellectual disabilities, and childhood aphasia. Case illustrations, figures, and photographs are used liberally to illustrate concepts and a capstone chapter highlights possible careers.